In stock -This product will ship today if ordered within the next 2 hours and 58 minutes. 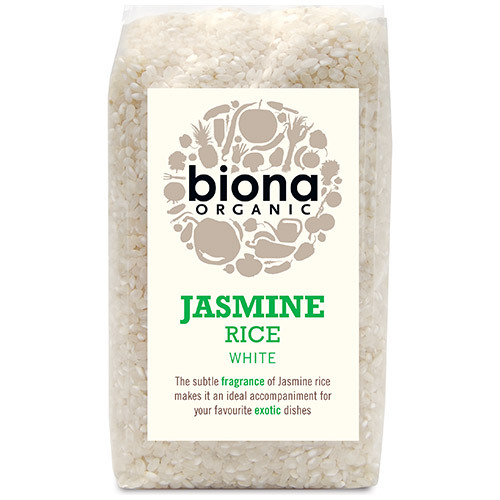 Biona Organic Jasmine White Rice has a wonderful subtle fragrance and is an ideal accompaniment for your favourite exotic dishes. Place 125g of Jasmine rice and 250ml of water in a saucepan. Bring to the boil, cover with lid and reduce heat. Simmer for approx 10-15 mins. Stir occasionally. Packed on a site that also handles nuts, sesame, gluten and soya. 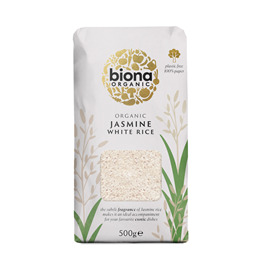 Below are reviews of Biona Organic Jasmine White Rice - 500g by bodykind customers. If you have tried this product we'd love to hear what you think so please leave a review.